Happy Monday! 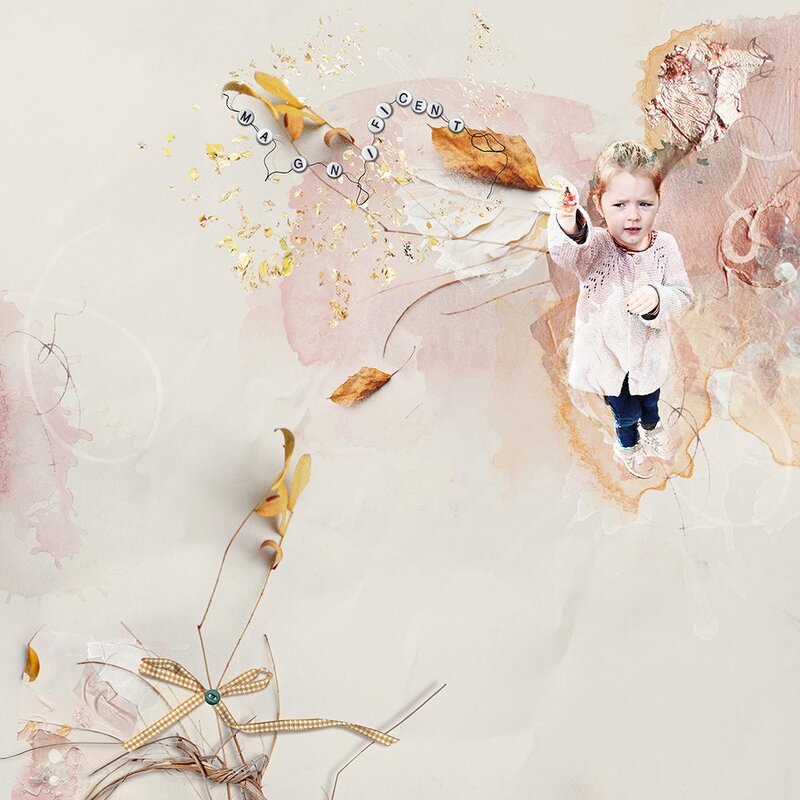 Today we’re sharing digital designs inspiration Rudeneja. 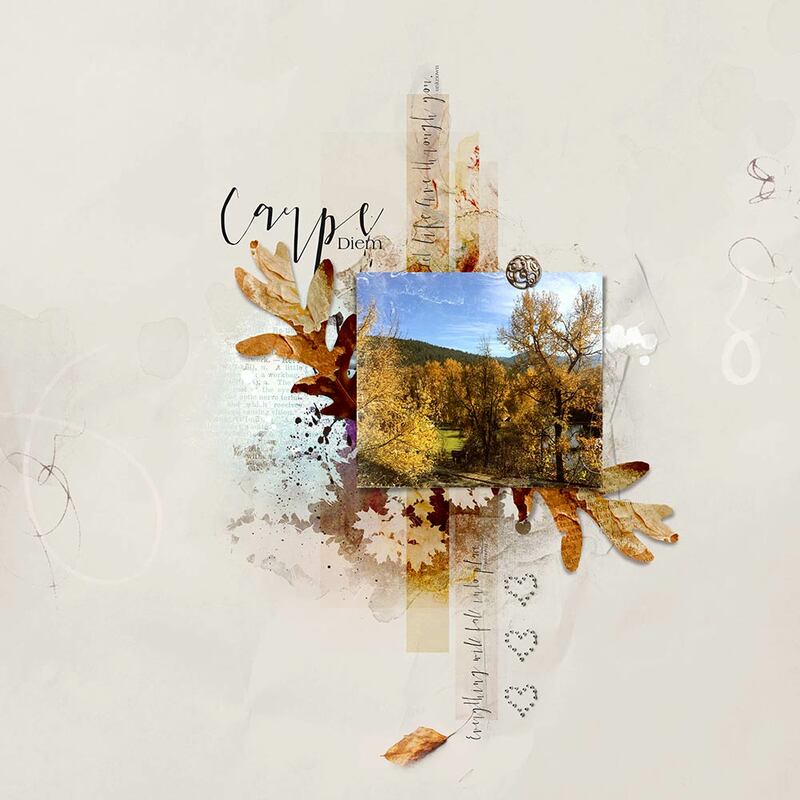 AnnaRelease Rudeneja is the newest collection of digital designs for scrapbookers, photographers, artists and crafters to be released into the Anna Aspnes Designs store. The aA Creative Team members have been blowing all creative highs using the NEW ArtPlay Palette Rudeneja and supporting DigitalART products. More digital designs inspiration Rudeneja of course, can be located in the AnnaGallery. 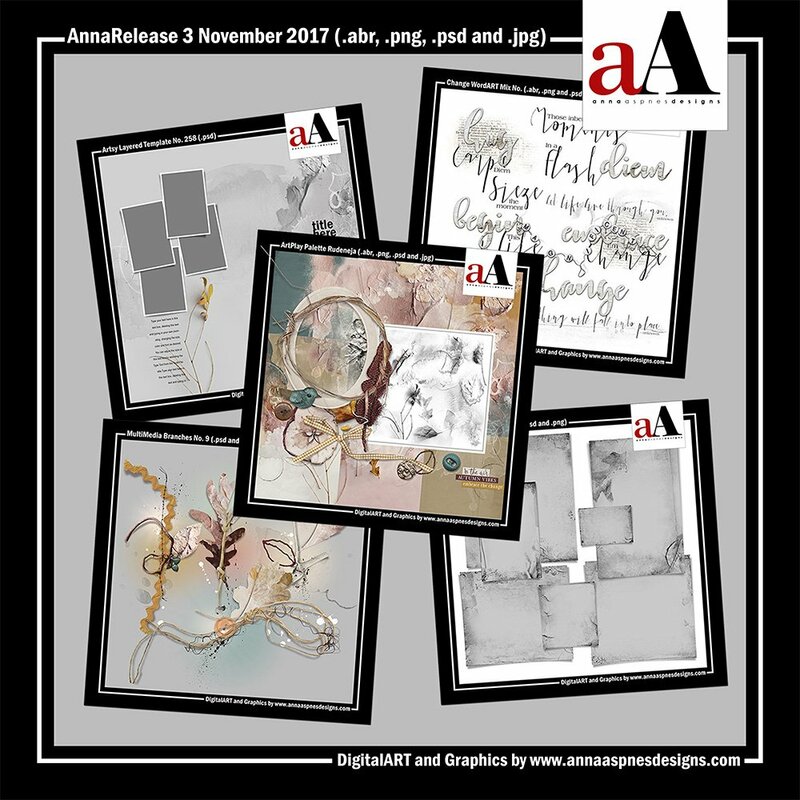 Click on the image below to view more digital designs inspiration ‘Rudeneja’ or visit the AnnaTeam Layouts board on Pinterest. 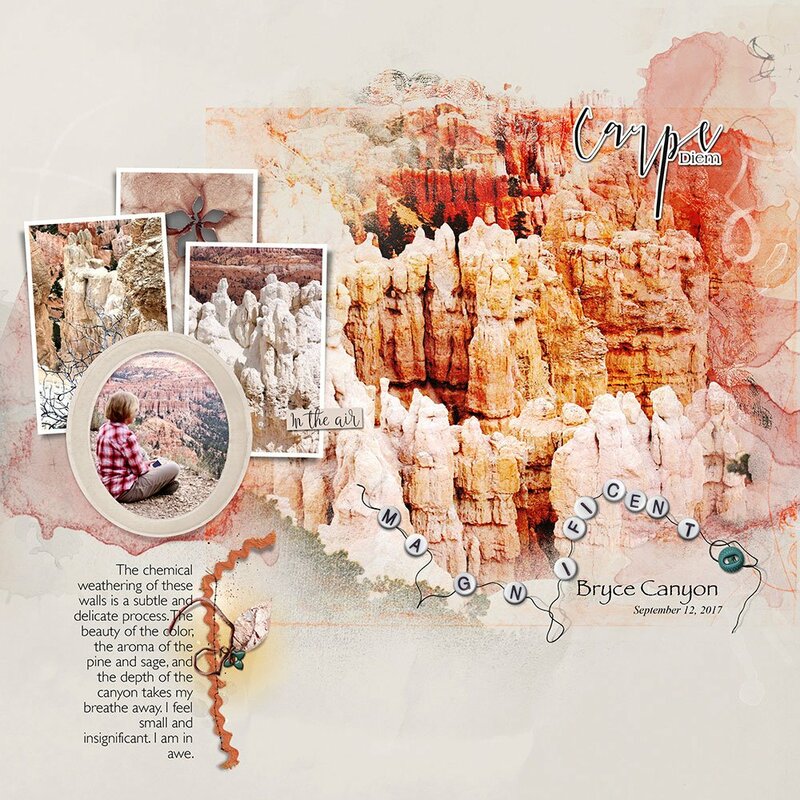 Use the elements in ArtPlay Palettes and MultiMedia products to create an extension of the subject. Make the elements part of the story by adding them to the imagery. A subject can hold, wear, adorn, be decorated by an embellishment for example. I love how Fiona has placed leaves in her Granddaughter’s hand as though she is holding them. Consider changing the orientation of your text to create contrast in angles and tension in your design. Rotate your text by 90 degrees to yield vertical text and notice how the vertical lines oppose those horizontal lines found in the frame. I also love how Barbara has placed strips of digital paper of the top of the SubtleQuotes and applied Blending Modes to mimic tape. Replace one or more frames in a template to enhance visual interest. Add frames in different shapes or more decorative versions. Notice how Miki has used the oval frame included in the ArtPlay Palette in place of one of the standard FramedMasks. 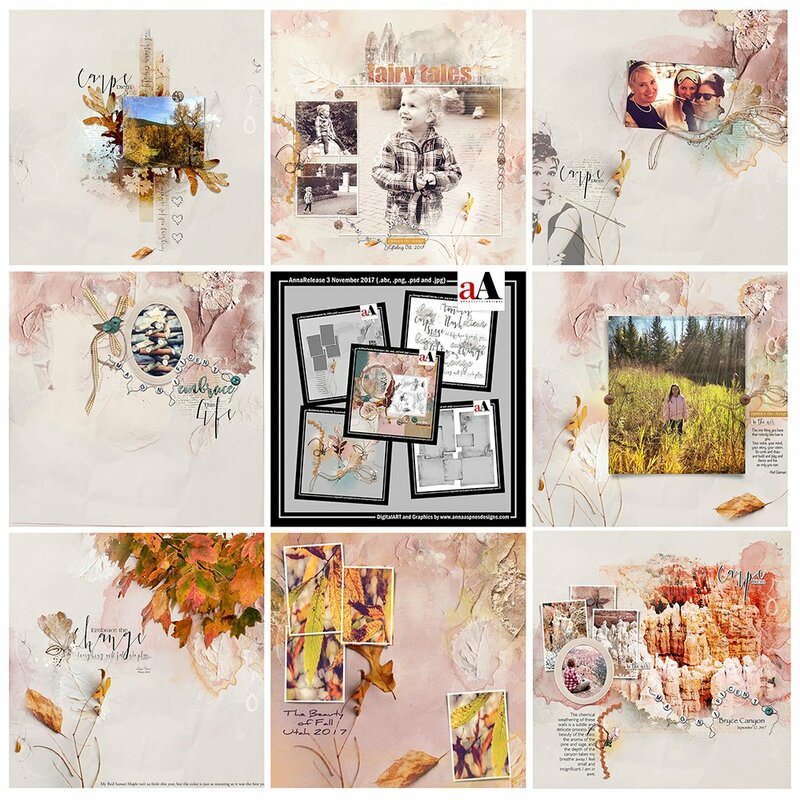 And Don’t Forget: Share and connect with other artsy digital scrapbookers by posting your own Digital Designs Inspiration Rudeneja in the AnnaGallery.